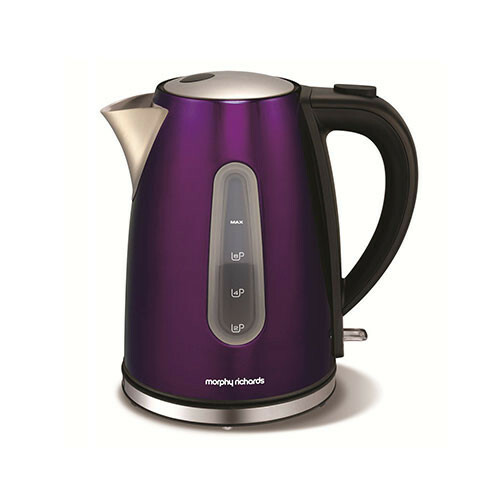 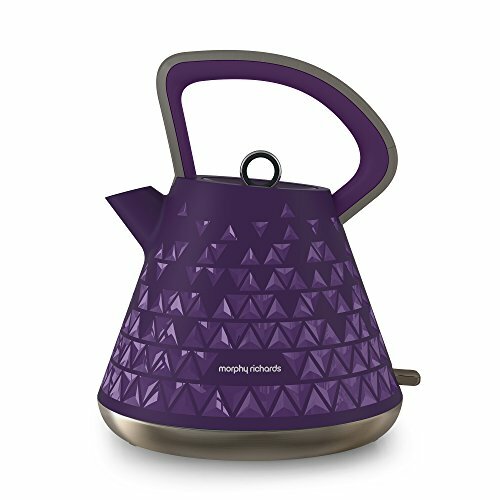 We recommend this purple kettle from the Morphy Richards Accents range as this kettle certainly ticks a lot of boxes. 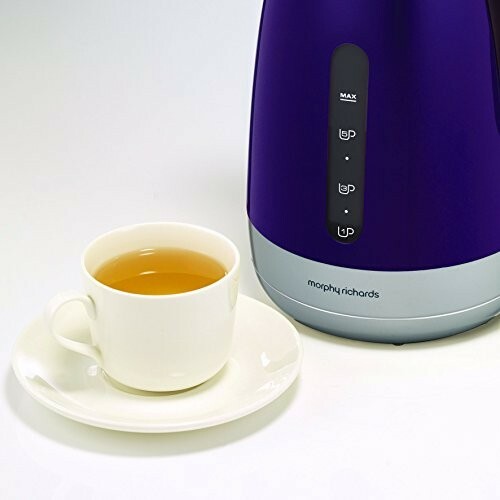 This 3kW kettle is extremely quick to boil, even when full. 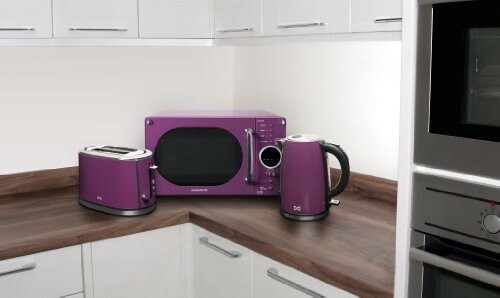 Remarked upon for its extremely vibrant colour it’ll certainly bring something special to the kitchen. 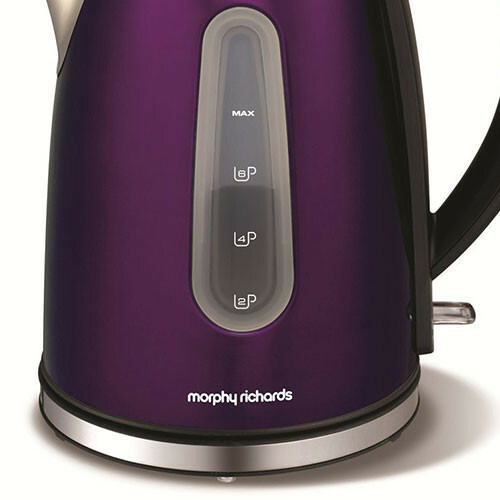 But please note – it’s called “Plum” by Morphy Richards, though it has also been described as more of a “Cadbury” colour. 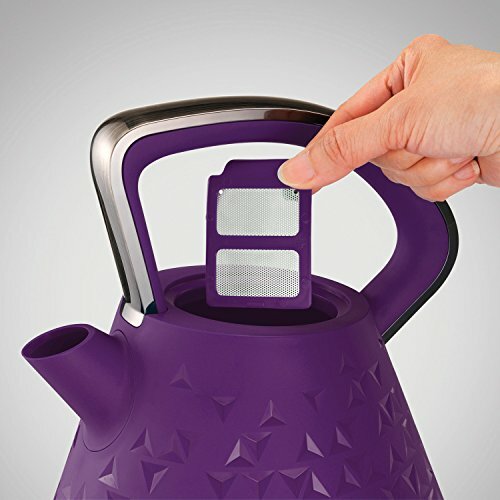 With this kettle you’ll discover no drips, a good grip handle and an easy to view water gauge. 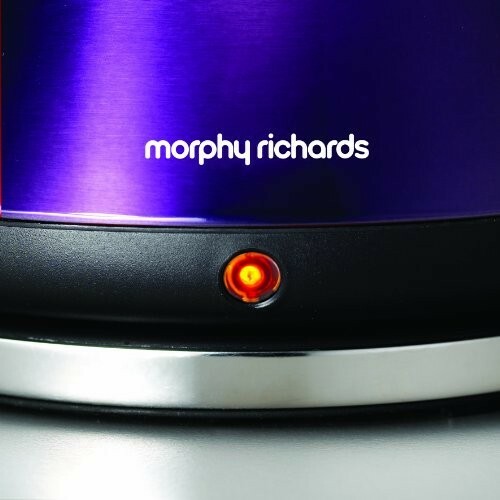 When in use everyone loves its little blue light when turned on! 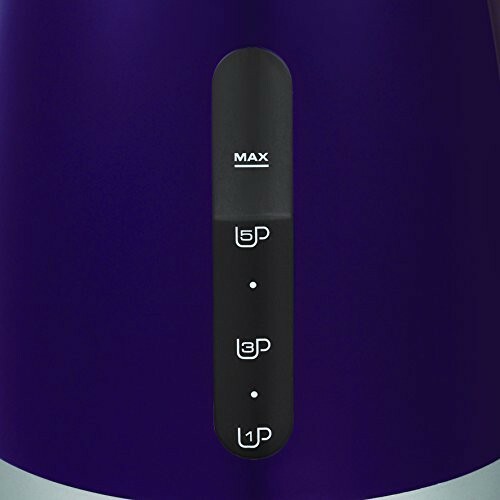 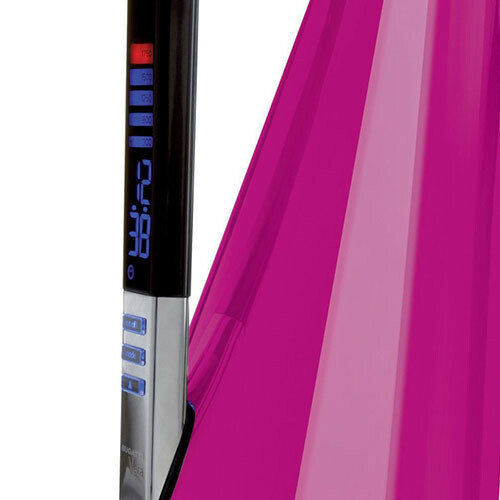 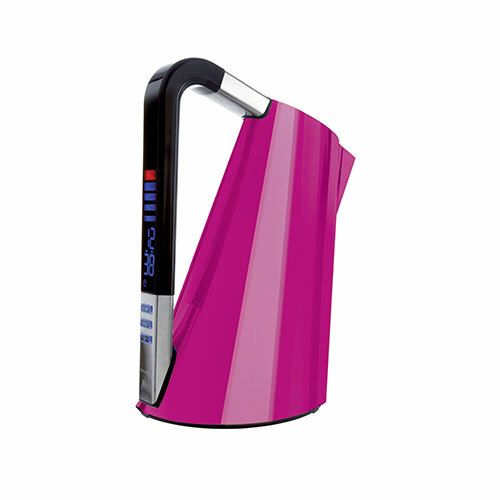 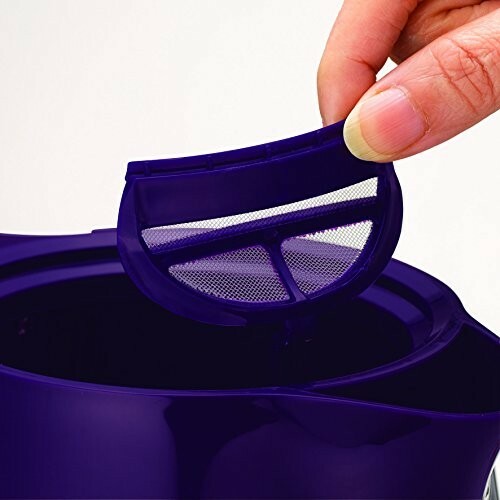 You also get a much sought-after concealed element and removable limescale filter for super easy cleaning, keeping your boiled water tasting fresh and prolonging the life of your gorgeous purple kettle. 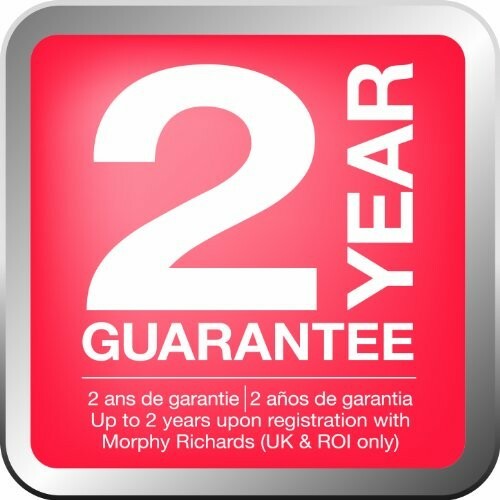 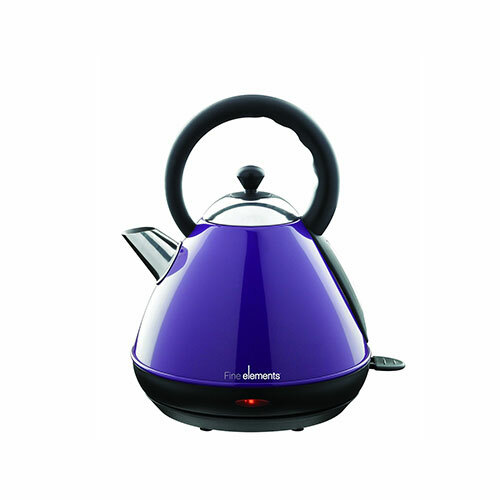 Overall this is a stylish, efficient kettle that comes with a two year warranty. 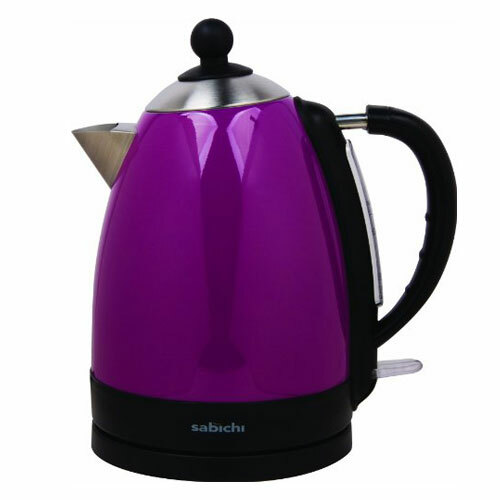 Kettles with a wattage of 3kW are usually classified as a “Rapid Boil” Kettle although performance can vary throughout the different models. 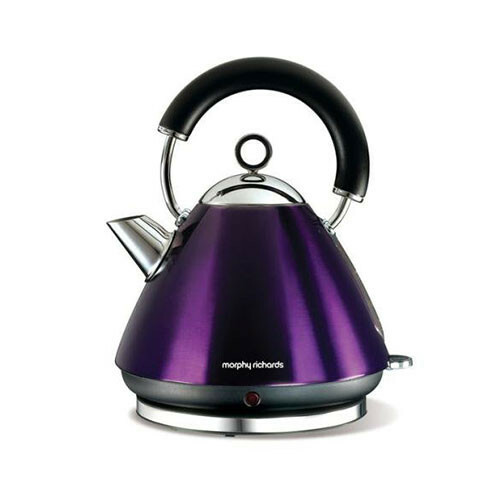 We always recommend reading other customers reviews before making your final decision if a speedy purple kettle is what you desire. 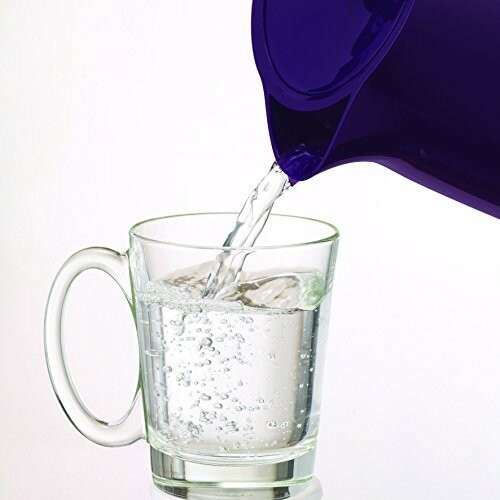 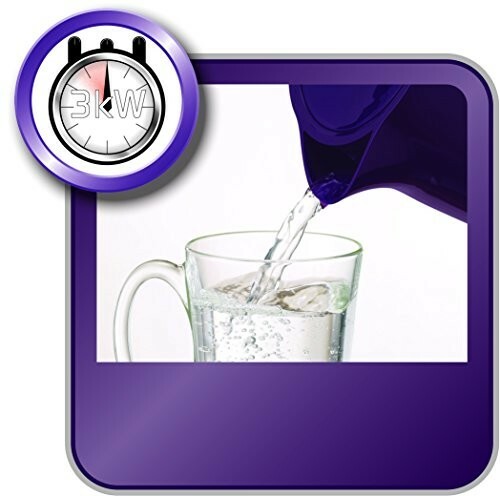 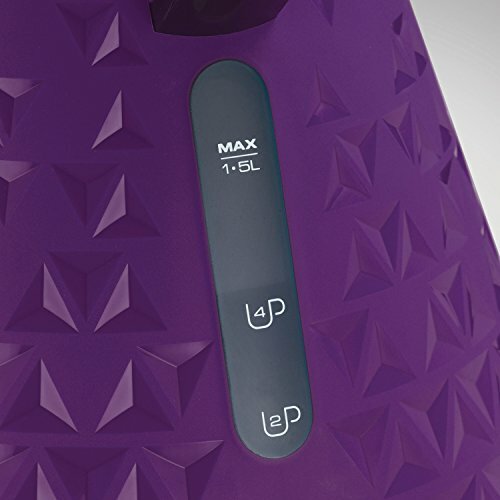 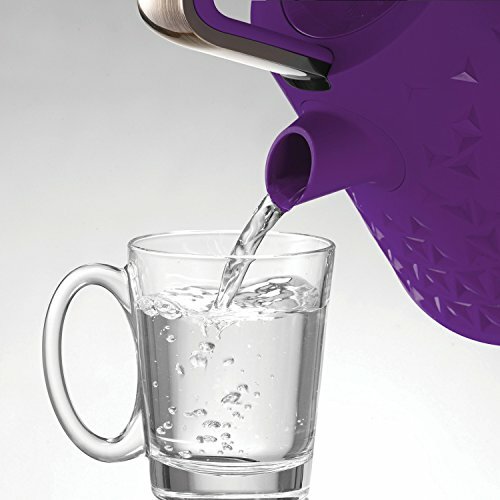 The purple kettles within our range hold between 0.5 and 3 litres of water. 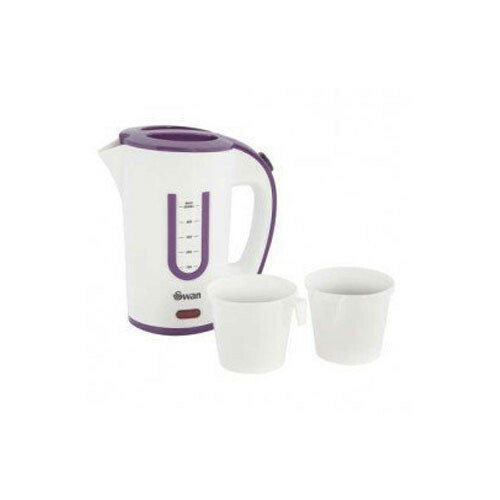 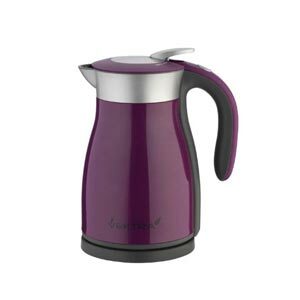 Our tiny 0.5 litre purple travel kettle from Swan is perfect for making 2 large cups/mugs of tea as the average cup requires about 250ml of water. 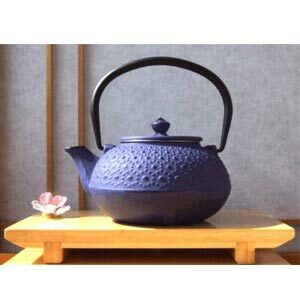 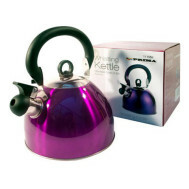 You can view the capacity of each kettle on the listings page before you click to view the entire product description. 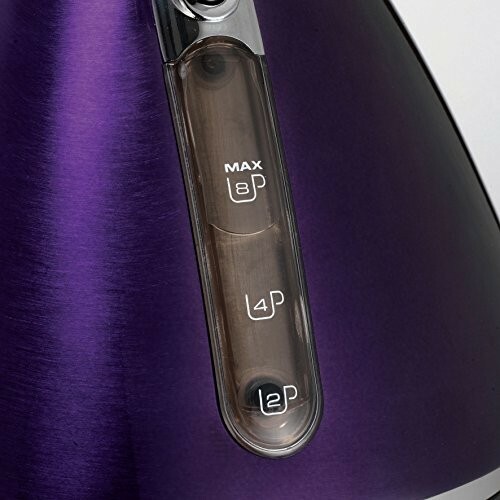 This feature really is essential in any modern electric kettle. If your kettle has no water in it then it will automatically shut-off. 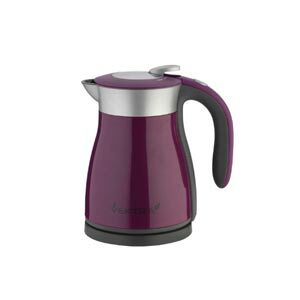 While most modern electric kettles have limescale filters these days you should look out for one with an easy to remove filter for easy cleaning. 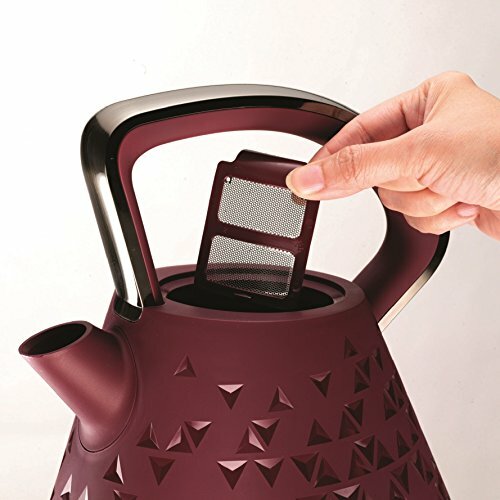 Your kettle’s filter is an essential piece that will need maintenance to keep your water free from limescale and therefore tasting delicious. 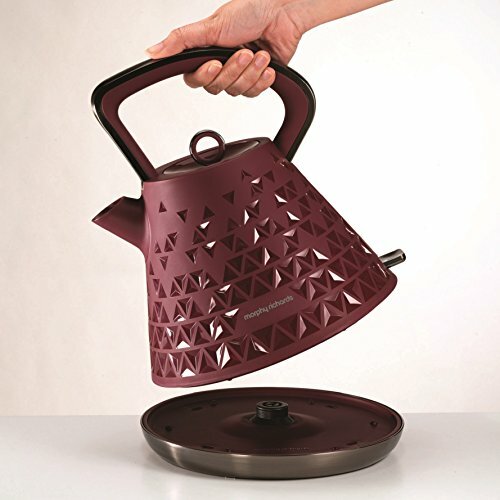 Only the truly budget kettles seem to lack this great feature, opting for a cheaper open element. 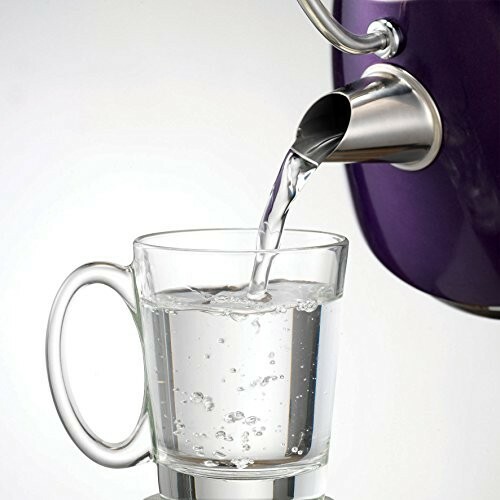 An open element allows for the gradual build-up of limescale (often the cause of kettles eventually failing). 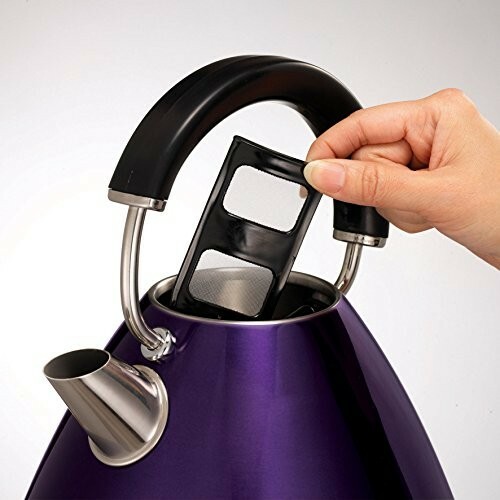 With a concealed element the build-up of limescale is easy to prevent due to how easy it is to clean out the inside of your kettle. 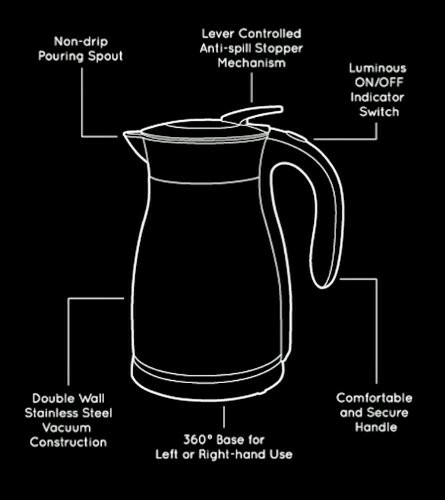 When you peer inside a kettle with a concealed element all you will notice is a flat stainless steel bottom that secretly houses the element. 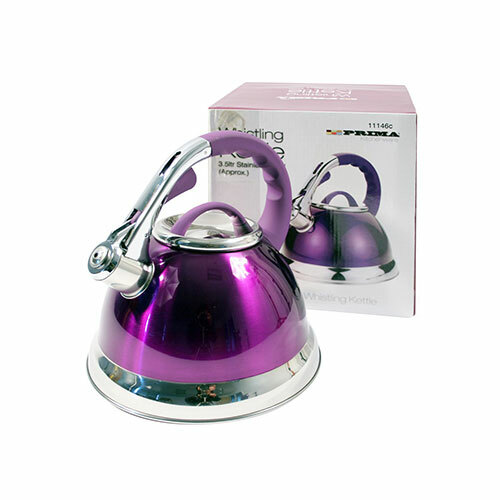 Kettles with open elements contain what resembles unsightly coiled tubes and therefore lots of unreachable surface area to make cleaning near impossible. 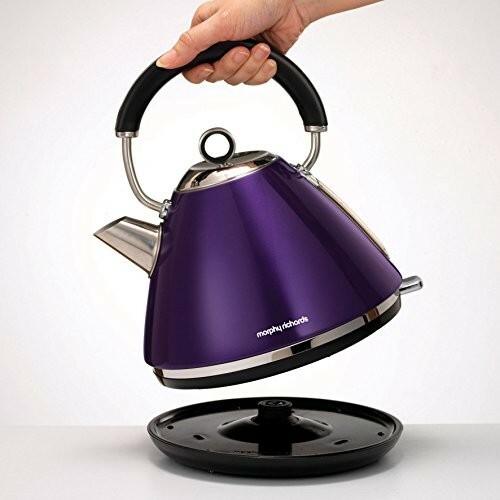 A standard feature on most kettles, a 360 degree base allows the user to replace the kettle on its base from any direction. 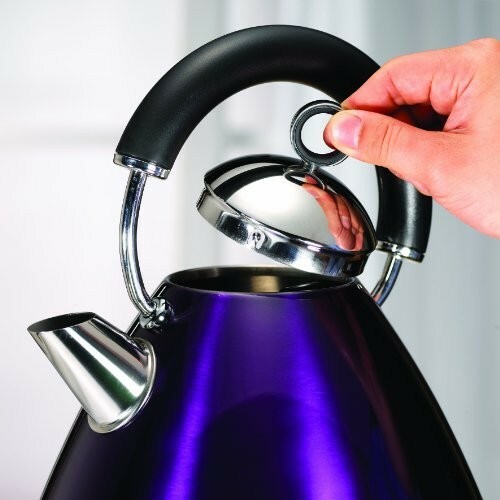 Perfect for left and right handed users as it means no awkward twisting of the wrist when replacing your kettle. 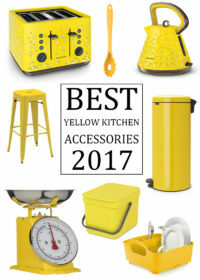 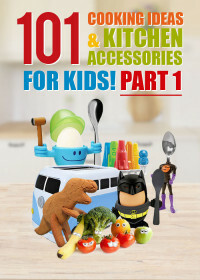 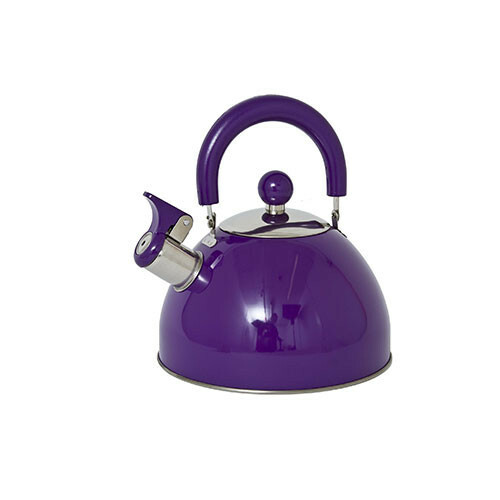 Welcome to My Kitchen Accessories huge catalogue of Purple Kettles. 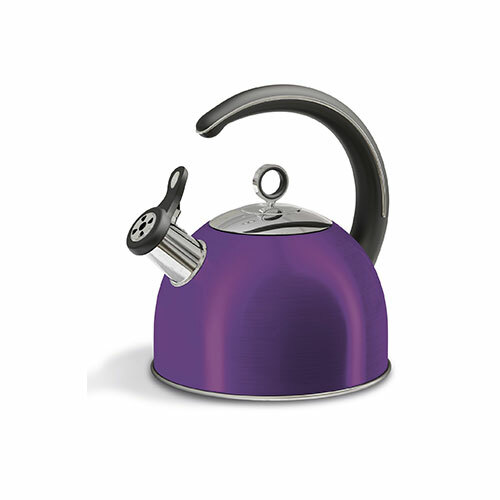 We currently host one of the biggest ranges of purple kettles available to buy in the UK. 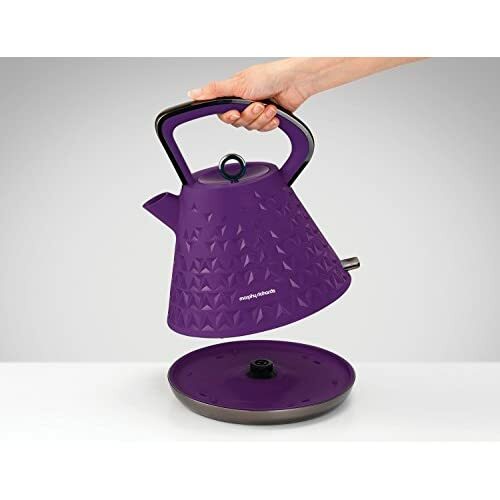 We’ve taken a huge amount of time to search and catalogue the best kettles on the internet and therefore within our range you’ll find every kind of purple kettle imaginable.You’ll discover purple whistling kettles, dome kettles, jug kettles, pyramid kettles and traditional kettles. From small capacity kettles to a whopping 3.5 litre kettle we’ve got a purple kettle to suit every situation and home. 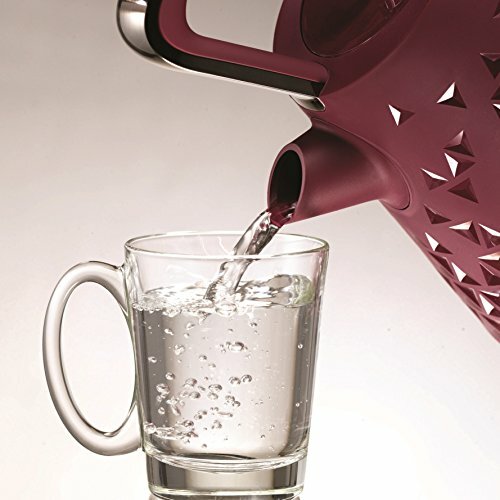 A solo tea drinker? 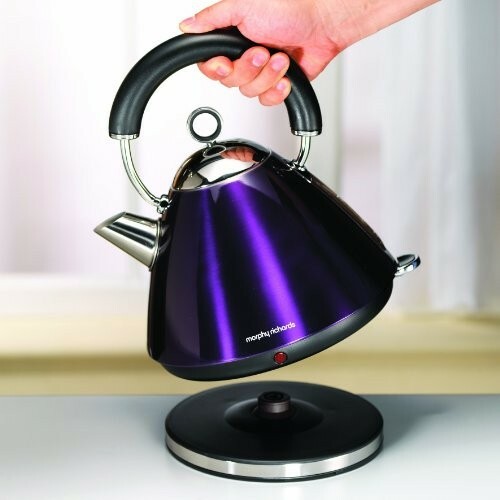 Our smaller capacity kettles are brilliant for a quick cupper. 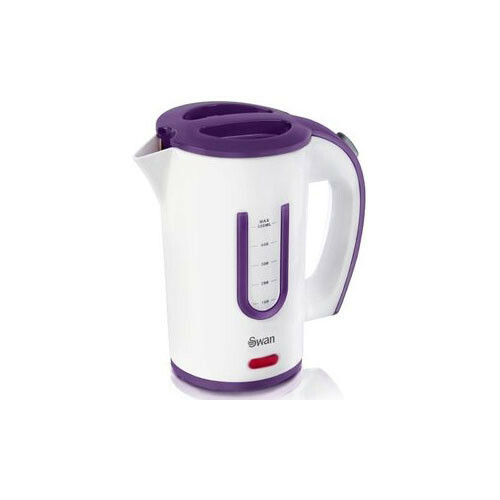 If you’re catering for a large family of hot drinks lovers then you’ll be needing something a little larger and more powerful. 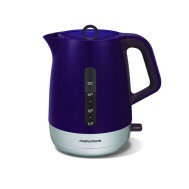 The wattage of your new kettle is a vital element to consider. 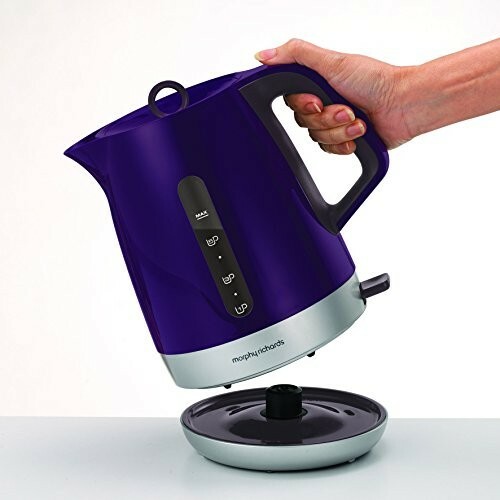 If you’re planning on making large pots of tea then you’ll want a kettle that features 3kW of power and rapid boil for speedy large capacity tea making. 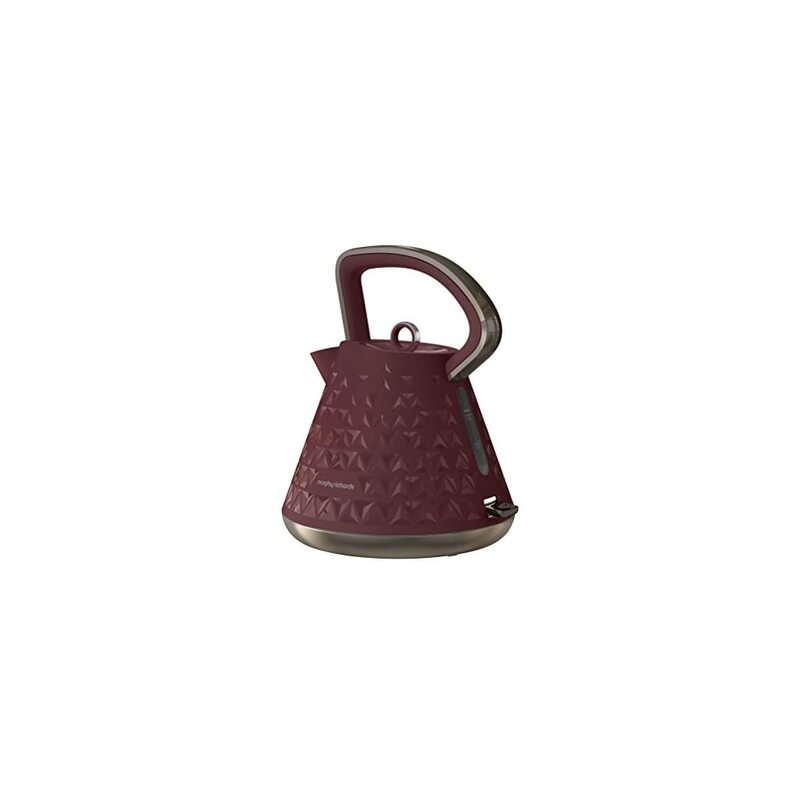 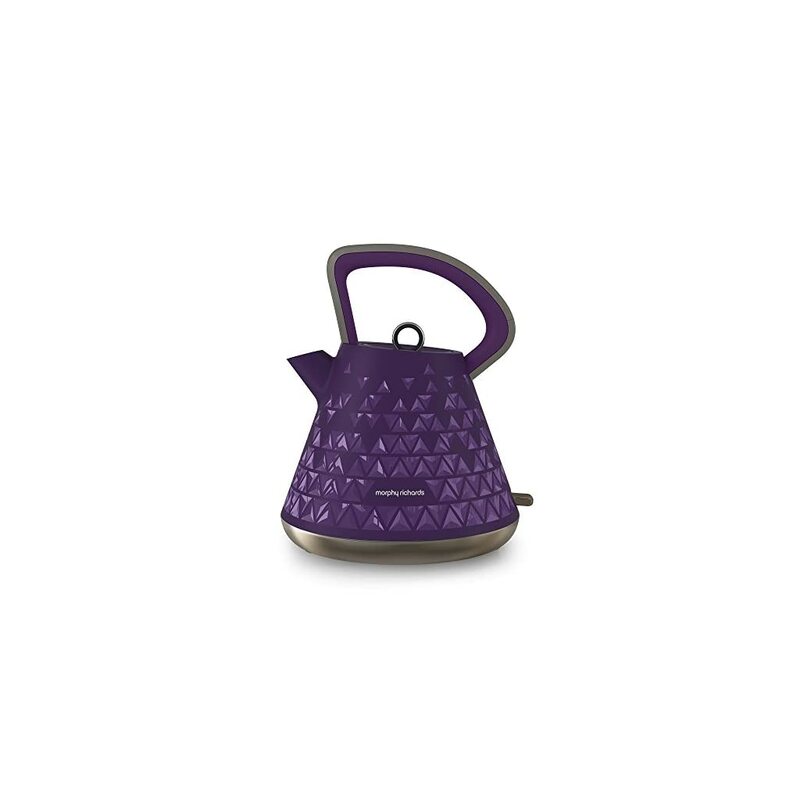 You can easily glance over the capacity and wattage of our listed purple kettles before you click through to the product page. 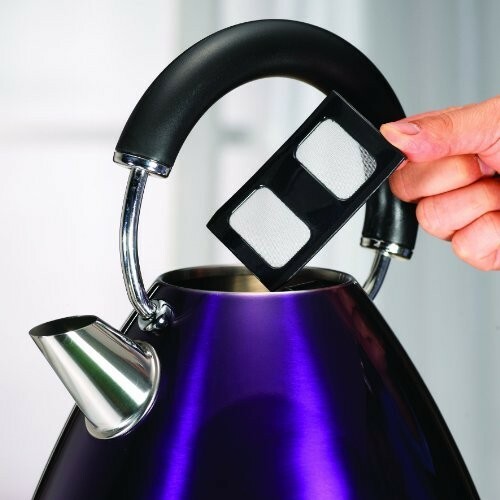 Within our range you’ll find essential features such as rapid boil, stainless steel concealed elements, boil dry protection, automatic shut-off, removable and washable limescale filters and 360 degree swivel bases that are perfect for right and left hand users. 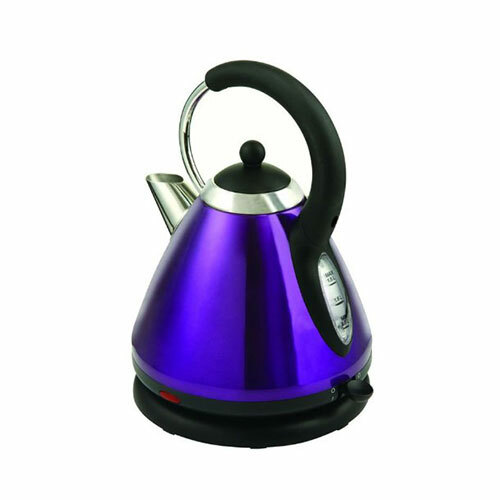 And if fully featured electric kettles aren’t your thing then we have many purple whistling kettles that can be used to boil water on your gas or electric stove-top. 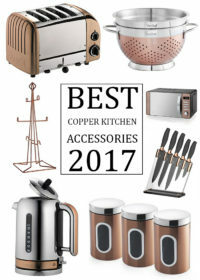 Perfect if you hate trailing wires or don’t have enough sockets in your kitchen. 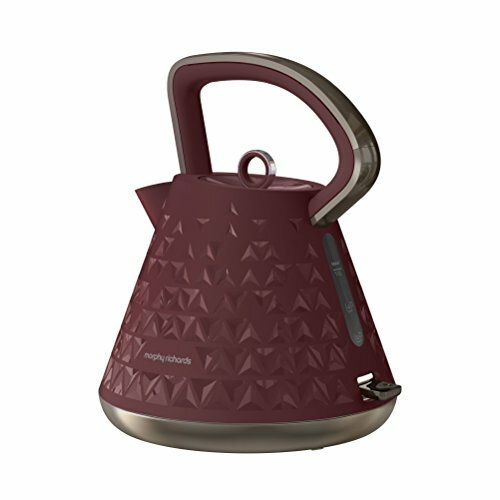 Perhaps you like to take your kettle camping? 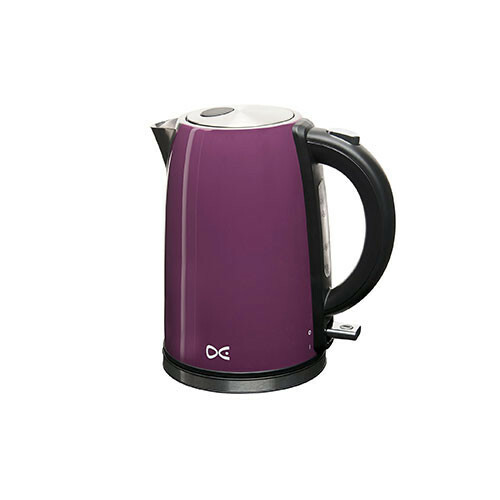 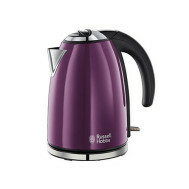 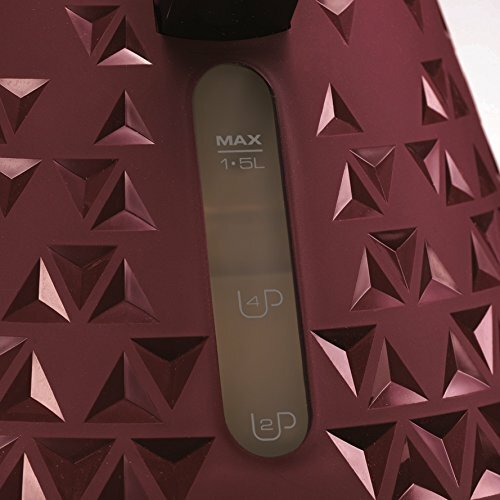 Who needs two when you can just have one super stylish multifunctional kettle in a lovely shade of purple! 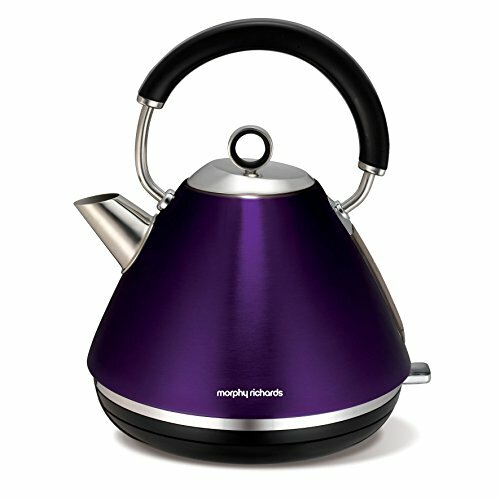 If you are thinking of buying a bright purple kettle or one in a deep plum tone we have loads on offer from a range of great brands, we have kettles from high quality manufacturers including Bugatti, Daewoo, Le Creuset, Morphy Richards, Panasonic, Russell Hobbs & Swan. 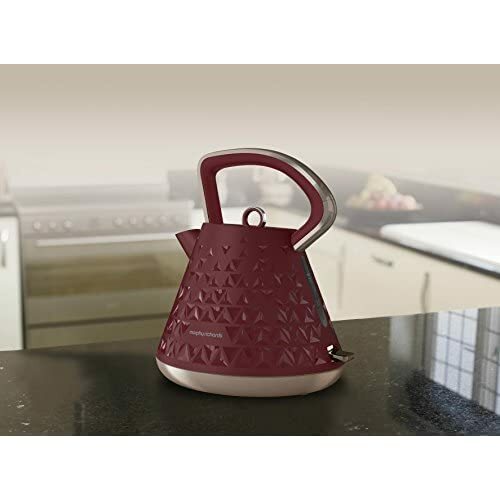 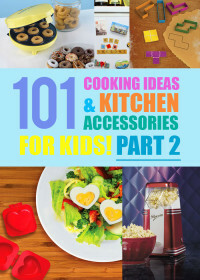 All you need to decide is which kettle will look great in your kitchen!